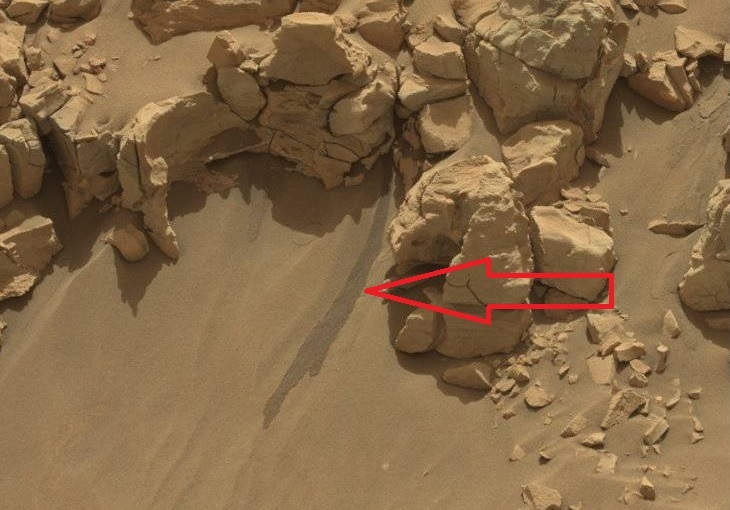 On these photos, you can see water running down from below the rocks on a small 2 meter tall hillside in Gale Crater. You can see the wetness and the different color of soil compared to that around it. There is no doubt that it is water. 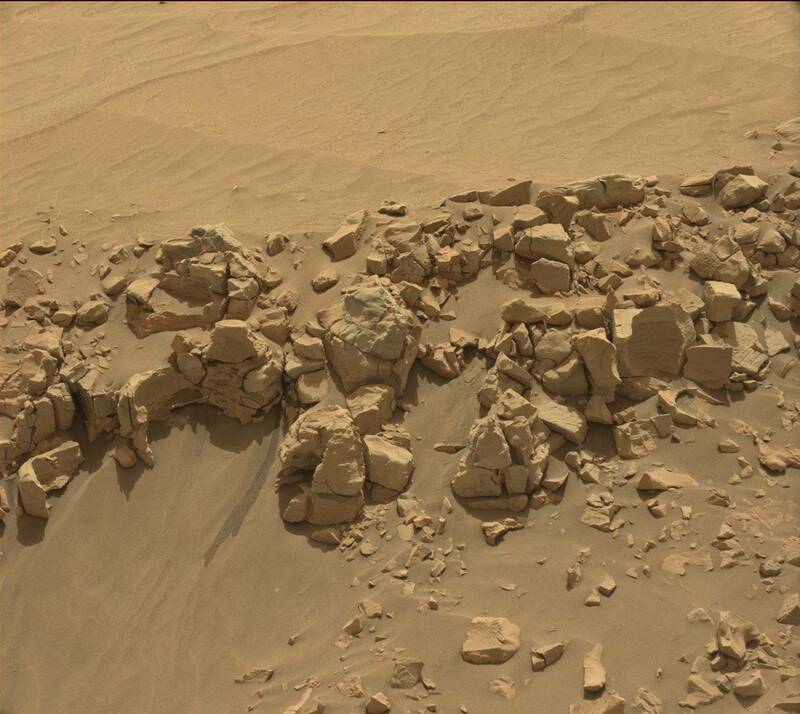 Sure UFO researchers have forced NASA to disclose water on Mars, however NASA still says its only in certain areas far away from the rover. 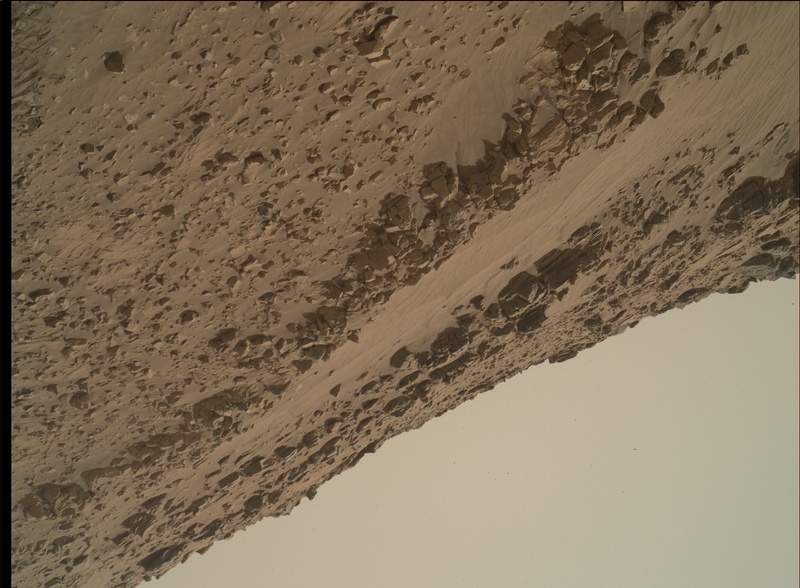 This photo is proof that water exists in many places close to the rover...say 1-2 meters away. 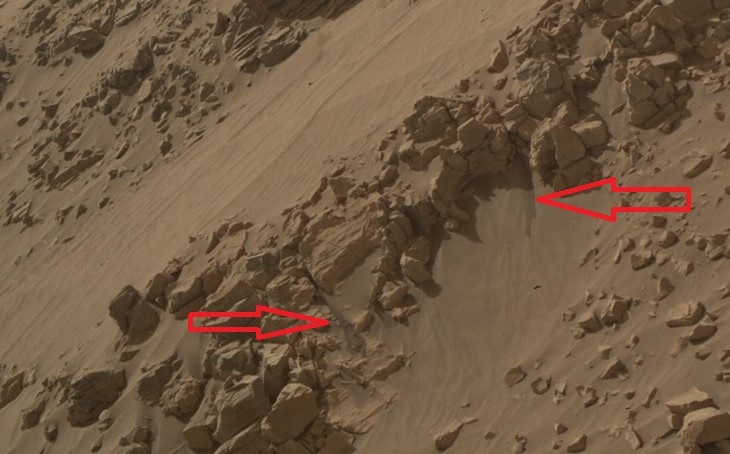 Sure NASA says its to far way for the rover to explore, and sure NASA says they cannot do what the public wants, that they have a mission follow, but honestly, NASA is really neck deep in their lies to the public.